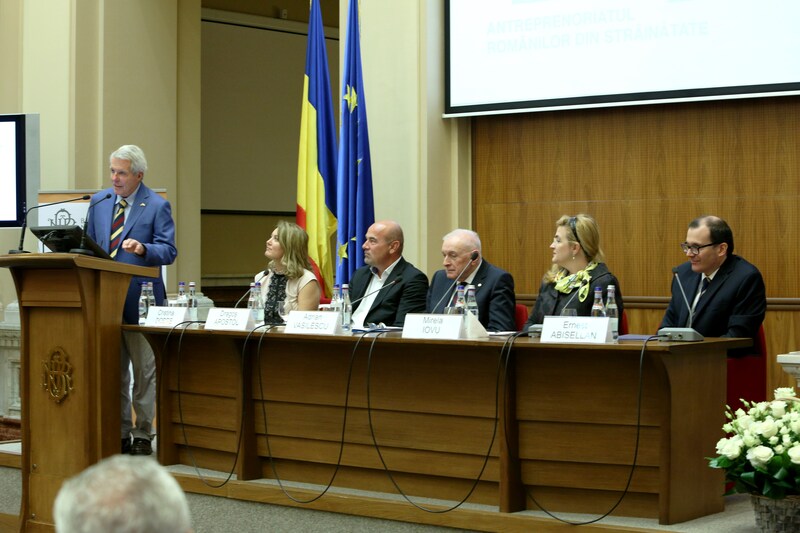 The “Migration and Entrepreneurship – a Significant Value” conference, hosted by the Lufkin Foundation and the National Bank of Romania, has gathered prestigious speakers from the Romanian banking system and successful entrepreneurs with a migrant background, who have highlighted the value of the interconnection between migration and entrepreneurship, two significant factors for the economic growth and development of Romania. We were also honored to have among us, Mr. Dan W. Lufkin, the founder of the Lufkin Foundation for Entrepreneurship and Migration, who has underscored the necessity of identifying strategies and methods at the national level to attract the economic and human potential represented by the Romanian migrants and their families. Mr. Lufkin fervently spoke about the importance of entrepreneurial initiatives and actions which could be the decisive factors in the development of Romania.